Mather Field - McCuen Properties was selected through a public competition to manage the development of Mather Field, a 5,800 acre decommissioned Air Force base, through a public/private partnership with Sacramento County. The U.S. Department of Defense identifies Mather Field as one of the nation's most successful conversions of a military base to civilian use. Mather Commerce Center - A new 34 acre office campus under development directly south of the Mather entrance. Build-to-suit opportunities are abundant in this employee friendly business park which is close to services and housing in all price ranges as well as being central to many of Sacramento's business centers. Public transportation is easily accessible from all sites as well as broadband capabilities and dual power feeds. Sacramento County Office of Education - McCuen Properties served as the Developer for the new 72,000 square foot Class A headquarters for the Sacramento County Office of Education at Mather Commerce Center. Our team worked in concert with SCOE management and employees to build consensus for this complex project to provide an excellent result completed ahead of the original schedule on budget. 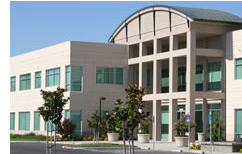 McCuen Center One - This 85,000 square foot office building at Mather Commerce Center is leased to the County of Sacramento's Water Quality Division and Department of General Services, including the Real Estate Division. On this project, McCuen worked closely with the County's tenant improvement architect/design team and was able to meet all of their objectives. McCuen continues to exceed the County's expectations by serving as Property Manager. McCuen Center Two - McCuen Center Two a new 95,000 square foot office building was constructed and leased in 2004. The building will house 600 employees of the national mortgage company Ameriquest Mortgage. 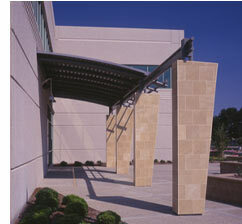 It is located at the entrance to Mather Commerce Center. 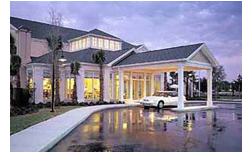 Ameriquest chose Mather due to its strategic location, amenities, abundant parking, good management and ability to grow on-site. Plaza Del Paso - The SETA project is an adaptive reuse of a 95,000 square foot warehouse into office space which anchors the south end of the Del Paso Boulevard Redevelopment Area. The conversion from warehouse to office involved numerous unusual construction aspects which were incorporated into the process while still meeting the needs of the public agencies involved. The project has received many accolades for its Art In Public Places Program. SureWest - SureWest Broadband Headquarters completed in 2002, was an adaptive reuse of a decommissioned aircraft hangar at the former McClellan Air Force Base. The 185,000 square foot building is utilized to deliver internet, telephone cable and TV, via fiber optic cable to homes and businesses in the Sacramento area. The Ziggurat Corporate Office Building - This 400,000 square foot, 10 story landmark office building at Raley's Landing was the first building to be constructed in this modern mixed use development on the Sacramento riverfront. 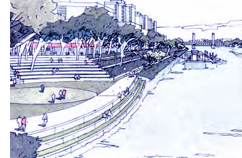 Raley's Landing - McCuen transformed the 20 acre Sacramento riverfront property of a former salmon cannery and boat yard into a modern mixed-use development. As managing partner of a joint venture with Raley's Corporation, McCuen Properties oversaw demolition of existing building, acquired expanded entitlements, and created an infrastructure master plan. Hilton Garden Inn - McCuen Properties developed the 154 room Hilton Garden Inn in the South Natomas area of Sacramento as a turnkey project. McCuen Properties identified a market need, obtained entitlements, arranged financing, established the hotel's aesthetic character, managed construction, then sold the property to Sunstone Hotel Corporation. Teale Data Center - The two-story 150,000 square foot Teale Data Center is the State's primary data center incorporating the latest in computer and electronic technology. McCuen coordinated all aspects of the project including the highly technical needs of the information systems department as well as the tenant improvements for the administrative departments. The facility includes 50,000 square feet of raised floor computer room space and 100,000 square feet of administrative office space. Central Library Block - McCuen Properties was selected through a public competition as developer for a major public/private sector redevelopment in downtown Sacramento that encompasses an entire block adjacent to City Hall. Library Plaza, the public element in this redevelopment, consists of a 160,000-square foot Central Library, a 6,000-square foot public galleria, and an 814 space parking garage. As developer in joint venture with the Sacramento Housing and Redevelopment Agency, McCuen Properties assisted in obtaining entitlements and provided construction management services for this complex project. US Bank Plaza - With Grosvenor International, McCuen Properties was co-developer of this 430,000 square foot, 26-story downtown office tower, built adjacent to the Central Library. McCuen Properties arranged international financing for the project, obtained entitlements, negotiated the development agreement with the Sacramento Housing and Redevelopment Agency, and provided property management services. Mather Field - McCuen Properties was selected through a public competition to manage the development of Mather Field, a 5,800 acre decommissioned Air Force base, through a public/private partnership with Sacramento County. The U.S. Department of Defense identifies Mather Field as one of the nation's most successful conversions of a military base to civilian use. 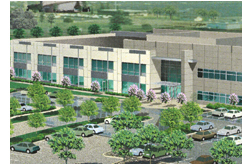 Mather Commerce Center - A new 34 acre office campus under development directly south of the Mather entrance. Build-to-suit opportunities are abundant in this employee friendly business park which is close to services and housing in all price ranges as well as being central to many of Sacramento's business centers. Public transportation is easily accessible from all sites as well as broadband capabilities and dual power feeds. Sacramento County Office of Education - McCuen Properties served as the Developer for the new 72,000 square foot Class A headquarters for the Sacramento County Office of Education at Mather Commerce Center. Our team worked in concert with SCOE management and employees to build consensus for this complex project to provide an excellent result completed ahead of the original schedule on budget. Mccuen properties utilized the Lease-leaseback method of delivery for this project. McCuen Center One - This 85,000 square foot office building at Mather Commerce Center is leased to the County of Sacramento's Water Quality Division and Department of General Services, including the Real Estate Division. On this project, McCuen worked closely with the County's tenant improvement architect/design team and was able to meet all of their objectives. 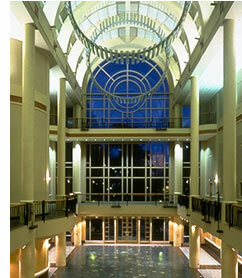 McCuen Center Two - McCuen Center Two is a 95,000 square foot office building constructed in 2004. The building houses 600 employees. It is located at the entrance to Mather Commerce Center & has abundant parking. Plaza Del Paso - The SETA project is an adaptive reuse of a 95,000 square foot warehouse into office space which anchors the south end of the Del Paso Boulevard Redevelopment Area. The conversion from warehouse to office involved numerous unusual construction aspects which were incorporated into the process while still meeting the needs of the public agencies involved. The project has received many accolades for its Art In Public Places Program. SureWest - SureWest Broadband Headquarters completed in 2002, was an adaptive reuse of a decommissioned aircraft hangar at the former McClellan Air Force Base. The 185,000 square foot building is utilized to deliver internet, telephone cable and TV, via fiber optic cable to homes and businesses in the Sacramento area. 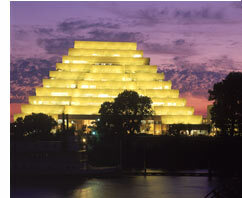 The Ziggurat Corporate Office Building - This 400,000 square foot, 10 story landmark office building at Raley's Landing was the first building to be constructed in this modern mixed use development on the Sacramento riverfront. Raley's Landing - McCuen transformed the 20 acre Sacramento riverfront property of a former salmon cannery and boat yard into a modern mixed-use development. As managing partner of a joint venture with Raley's Corporation, McCuen Properties oversaw demolition of existing building, acquired expanded entitlements, and created an infrastructure master plan. Hilton Garden Inn - McCuen Properties developed the 154 room Hilton Garden Inn in the South Natomas area of Sacramento as a turnkey project. McCuen Properties identified a market need, obtained entitlements, arranged financing, established the hotel's aesthetic character, managed construction, then sold the property to Sunstone Hotel Corporation. Teale Data Center - The two-story 150,000 square foot Teale Data Center is the State's primary data center incorporating the latest in computer and electronic technology. McCuen coordinated all aspects of the project including the highly technical needs of the information systems department as well as the tenant improvements for the administrative departments. 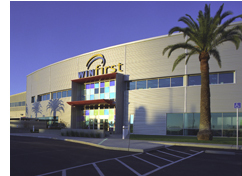 The facility includes 50,000 square feet of raised floor computer room space and 100,000 square feet of administrative office space. Central Library Block - McCuen Properties was selected through a public competition as developer for a major public/private sector redevelopment in downtown Sacramento that encompasses an entire block adjacent to City Hall. Library Plaza, the public element in this redevelopment, consists of a 160,000-square foot Central Library, a 6,000-square foot public galleria, and an 814 space parking garage. As developer in joint venture with the Sacramento Housing and Redevelopment Agency, McCuen Properties assisted in obtaining entitlements and provided construction management services for this complex project. 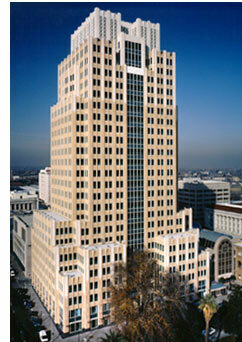 US Bank Plaza - With Grosvenor International, McCuen Properties was co-developer of this 430,000 square foot, 26-story downtown office tower, built adjacent to the Central Library. McCuen Properties arranged international financing for the project, obtained entitlements, negotiated the development agreement with the Sacramento Housing and Redevelopment Agency, and provided property management services. 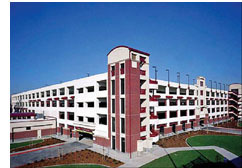 Los Rios Community College - Sacramento City College Parking Garage, Police Services Building, and Hughes Stadium Improvements were completed in partnership with John F. Otto (Contractor). This project includes a build to suit 5-level parking structure and a 2,500 +/- square foot police office. Funding for the $25 million structure came from local bonds approved by Sacramento area voters in March 2002.